Here in England and Wales, there is one ground for divorce, namely the irretrievable breakdown of the marriage. 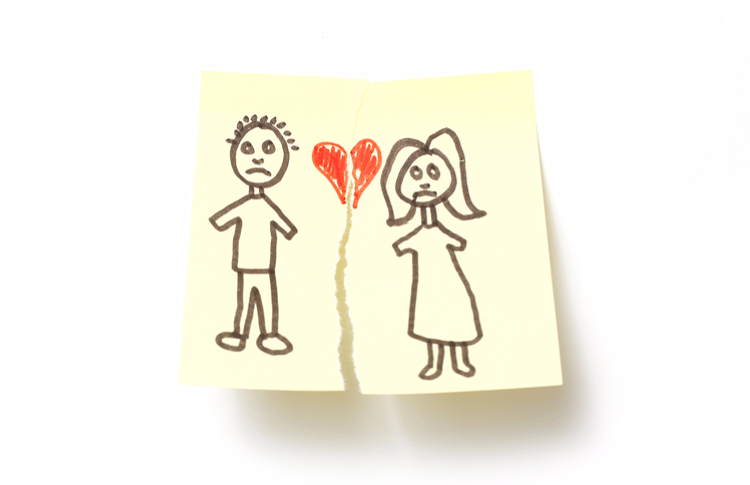 To evidence that a marriage has broken down irretrievably there are five facts you can use: adultery, two years separation (if both agree), five years separation, desertion and unreasonable behaviour. The last option is by far the most common that we see and usually requires the person applying for the divorce (referred to as the Petitioner) to identify 4-6 examples of their spouses behaviour which satisfies the Court that their spouse behaved in such an unreasonable manner that the Petitioner finds it intolerable to live with them. Behaviour can cover wide-ranging complaints. Examples are often generalised and parties are discouraged from presenting long unnecessary accounts as the petition itself can set the tone for dealing with the parties’ separation. Common examples of behaviour include being argumentative/moody, spending too much time working rather than with the family, forming inappropriate relationships (not adultery) with third parties and showing a lack of intimacy or emotional support. Issues surrounding the children and their care are best avoided, if possible, as they are likely to provoke a defensive reaction from the other party. Where possible the content of a divorce petition should be agreed in advance with the other party so that the divorce can proceed smoothly, swiftly and cost effectively. If you are looking to proceed with a divorce or are on the receiving end of proceedings consulting an experienced divorce and family lawyer at the outset is strongly recommended. You can then be fully appraised of your options and can decide the best route to take for you, your family and your future. In majority of cases contesting all the examples of unreasonable behaviour listed by your partner, will not score points with the court and is likely to cost you time and money. In most cases, it has no bearing on any other aspect of the divorce, like where the children live or the financial settlement. An unreasonable behaviour divorce petition is viewed most often as a means to an end when couples do not want to wait until they have been living separately for at least two years before divorcing. It is rare for a divorce to be contested. Majority are compromised as both parties accept that the marriage is at an end or at least concede that they cannot make their marriage work if the other parties’ heart is not in it. However, it can become problematic when one party refuses to accept the marriage is over. Take the recent case of Mr and Mrs Owens. The couple married in January 1978. During their time together they built up a successful business, amassed four properties and are reported to have lived a “genteel life in genteel company”. The couple had been living apart under the same roof for some years prior to the Wife pursuing a divorce, which included sleeping in separate bedrooms for a period of 7 years, until the Wife eventually moved out of the matrimonial home and into rented accommodation in February 2015. Mrs Owens, who admits to having an affair in 2012, sought to rely on examples of her husband’s unreasonable behaviour to secure a divorce. Such examples included Mr Owen’s prioritising his work commitments over his home life and making unpleasant and disparaging remarks about her to family and friends. Mr Owens defended the Wife’s request for a divorce on the basis that his behaviour was not unreasonable and that he wished to remain married. The Judge who first heard the matter last year refused the petition on the basis that the husband’s behaviour had not been unreasonable, and the incidents referred to were in fact ‘altercations of a kind to be expected in a marriage’. He found the context and seriousness of the allegations to be exaggerated and commented that the husband’s attitude was ‘old school’ as opposed to unreasonable. He further stated that the couple did not need to divorce because they could afford to live separately. Mrs Owens appealed to the Court of Appeal however, on 24.2.17 the decision was upheld on the basis that the Judge at first instance had applied the law correctly and on the evidence before him was entitled to reach the conclusions drawn. Mr Owens has claimed that he has moved on and forgiven his wife for her “misguided” fling in 2012, saying he wants them to remain married as they “still have a few years of old age together”. But Mrs Owens insists she feels “unloved, isolated and alone” and says her husband’s behaviour amounts to grounds for divorce. Mrs Owens is in the process of taking her case to the Supreme Court. If her appeal is unsuccessful she faces, in the absence of Mr Owens changing his mind, having to wait for 5 years from the point of separation before being able to secure a divorce. The ruling has been referred to as a setback for divorcing couples. There have been campaigns for a number of years now for the government to introduce a ‘no-fault’ divorce whereby parties can apply immediately upon separation for a divorce jointly without the need to rely on fault based grounds such as unreasonable behaviour. However, until the law is changed, we must work with what we have. Whatever your circumstances if you would like advice about divorce, do not hesitate to contact one of our Family Solicitors. You can make an appointment at Mincoffs by calling 0191 212 6151 or emailing rsmith@mincoffs.co.uk.